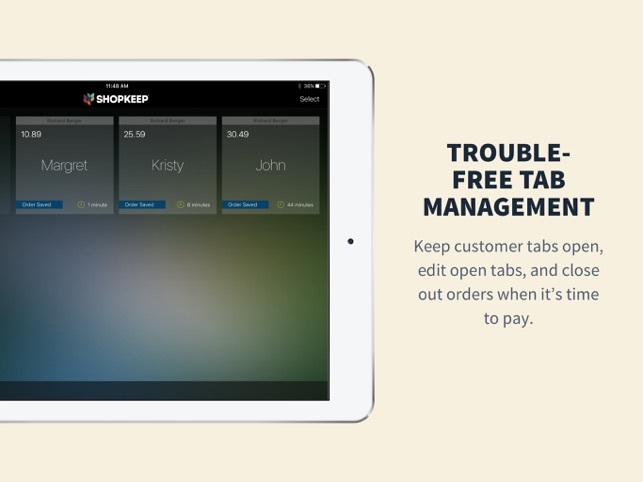 ShopKeep’s #1 rated iPad cash register turns your tablet into a powerful tool for running your growing business. Available in the U.S. and Canada. 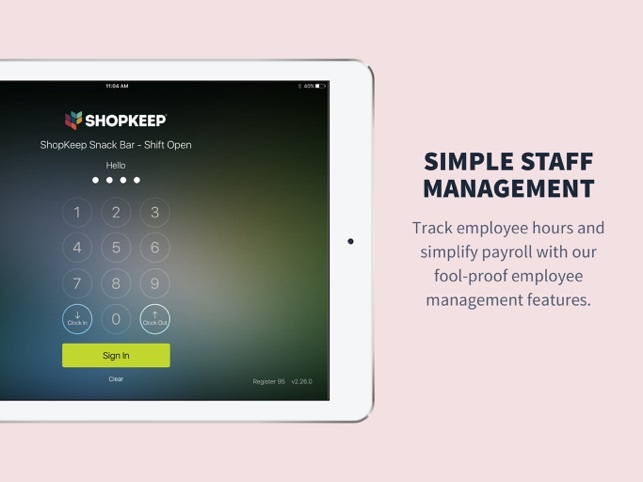 Created by an experienced small business owner, ShopKeep’s simple to set up and easy-to-use register is trusted by over 24,000 small businesses to keep track of sales, manage inventory, simplify staff management, and more. 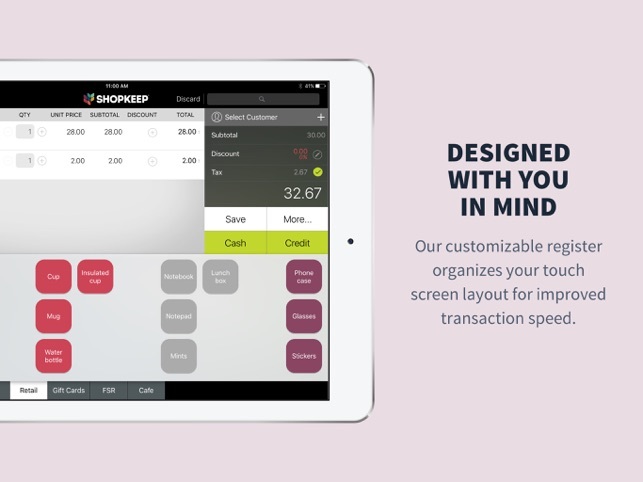 From quick, guided setup to rapid transactions, using ShopKeep's tablet-based POS is a breeze. Offering your customers more payment options is good for business. 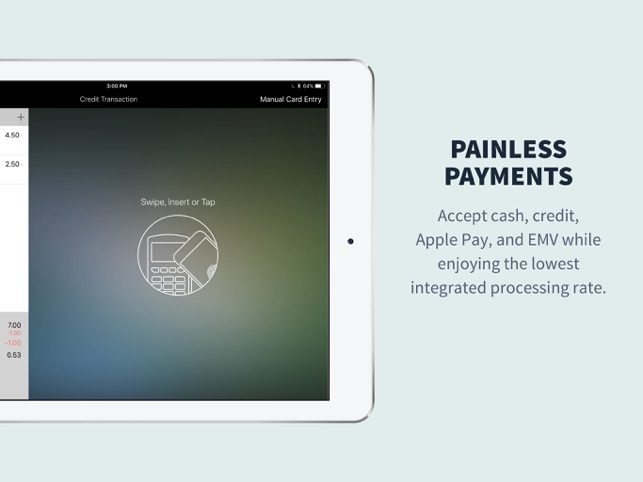 Accept all types of payments, like Apple Pay and EMV, on our lightning-fast register. Save hours on inventory, staff management, accounting and reporting with ShopKeep's automated business tools. ShopKeep’s industry-leading hardware comes with free delivery and a 1-year warranty so that you can sell with added peace of mind. ShopKeep customers get free, award-winning, US-based customer support 24/7/365. 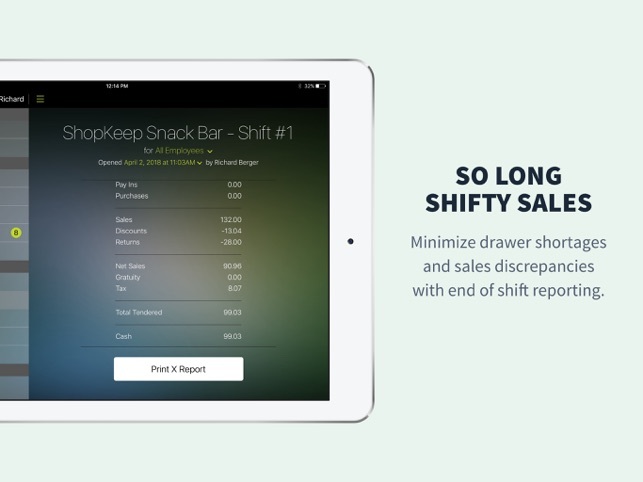 With the ShopKeep Pocket App™, also available in the App Store, ShopKeep customers can easily track sales and employee performance on-the-go. April app updates bring May taps with short waits. Isn't that how the old saying goes? This release brings you some helpful bug fixes and performance improvements! REMINDER: Always close any open shifts before updating your register. Also, we strongly recommend updating your register during non-business hours. Best All in one POS/Credit Processing! I’ve been using Shopkeep for 3 years running my barber shop, we do thousands of transactions every week and love our POS. It’s easy to use and easy to train new staff on. The back office software is really informative and is very easy to navigate. All the information you’d ever need about sales and customers, also inventory management and Mail Chimp integration. We also use ShopKeep as our credit processing company and they have some of the most competitive rates on the market. They also offer capital at very responsible rates to customers who process credit cards with them, its been really helpful to us while we expand our shop! When it works, it’s great. But it doesn’t always work. Thank you for taking the time to speak with us yesterday. Please don't hesitate to reach out with any additional questions or feedback. When I first got Shopkeep I loved it. Then my card reader went out which was understandable as customer service advised it would only last around a year since it is the cheapest version. Purchased another card reader and that only lasted a month and a half. Worked halfway through the day and then ‘gateway error’ worked with customer service and they lead me in a circle to how to fix my internet. App crashes a lot. Like annoyingly a lot. Really want to love it still.